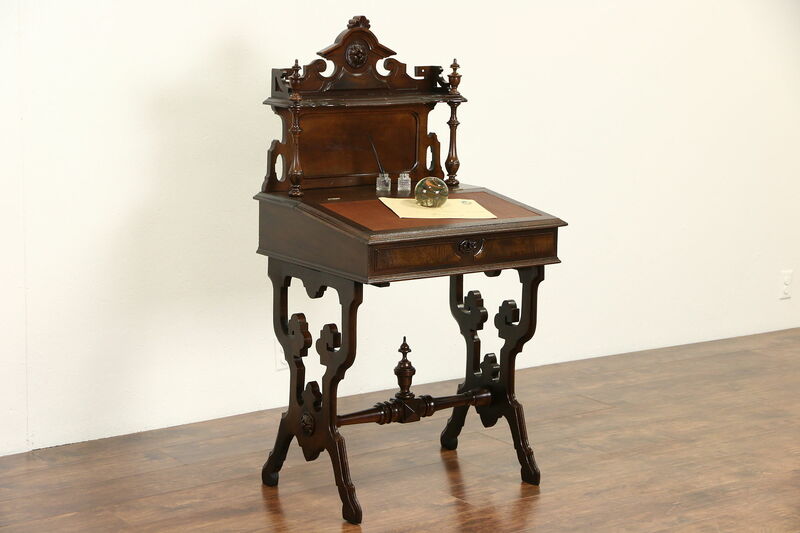 Carved of solid walnut in the 1870's, a Victorian period secretary desk is richly detailed. The restored finish is in excellent condition on this American made antique furniture. The slanted desktop is saddle leather, underneath is a storage compartment with cubicles and a tiny drawer for documents. Measurements are 26 1/2" wide, 23" deep, 51" tall and the writing surface slopes up from 30" at the front edge.